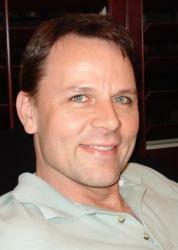 You are here:Home Articles Am I too old to start a career as a voice teacher? One might call our society “youth obsessed.” Everywhere you turn, there are articles on how to look younger, stay younger, act younger, dress younger, etc. Corporations constantly pass over more qualified job candidates in favor of younger applicants. Film and pop stars are considered “over the hill” at age 35. When it comes to professional singers, this obsession with youth can be perplexing. I get so many e-mails from people sharing audio and video links with titles like, “Amazing seven-year-old opera singer!” or, “Listen to this unbelievable performance of ‘Rolling in the Deep’ by a four-year-old!” Somehow, the notion is that because they are young, they are more interesting. The good news for teachers of singing is that the public at large does not seem to have the same obsession with youth when it comes to educators. There is still a general frame of mind that teachers get better with age. Therefore, singing teachers rarely get passed over because they are too old; in fact, I have noticed that my own studio has gotten much more successful the older I have gotten. If you are thinking of starting a studio as a singing teacher and are worried that you are too old, it may interest you to know that our industry is one of the few in the world that actually does not favor youth over expertise. I know voice teachers who have never retired, even those who have taught well into their 90s. Every singer has his or her own unique history. If you are a singer who is considering transitioning from performing to teaching, remember that you are poised to be able to give your students a valuable perspective based on your own unique background in singing—a perspective that no one else has but you. I am a firm believer that when the student is ready, the teacher will appear; conversely, I feel that if you have something to teach, there are people who definitely need to learn it. If you have a desire and a passion for teaching, what you have to contribute will be a valuable gift to your students that they couldn’t receive from anyone but you. 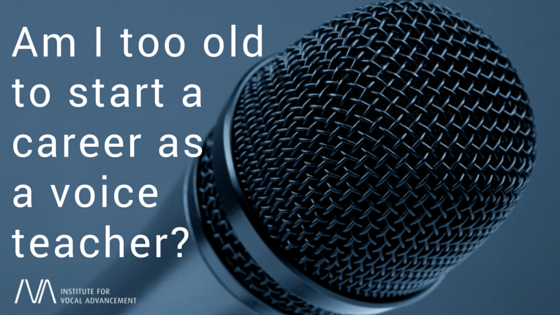 In my opinion, the question, “Am I too old to start a career as a voice teacher?” isn’t the best question to be asking. A better question would be, “Do I want a career as a voice teacher?” If the answer is yes, then I say get to it! Stop wasting precious time worrying about things like your age. Your students are waiting.